news US technology giant Salesforce.com has revealed that Australian funeral services provider InvoCare – which encompasses the Simplicity, White Lady and Guardian Funerals brands – has deployed its Sales Cloud customer relationship management software as a service application, in a deployment touching 130 branches across Australia. InvoCare is one of the largest local funeral services providers, with some 1,500 staff located across Australia, New Zealand and Singapore. Previously, according to a case study published last week by Salesforce.com, the company was in some cases using archaic hand-written notes to manage client information. However, the company’s chief information officer Andi Luiskandl saw the potential for the company’s processes to reach “failing point”. With this in mind, Luiskandl put together what it described as a new ‘Digital Business Strategy’, selecting its prepaid funeral services business as one of a number of test beds to test the strategy. The group has now rolled out Salesforce.com’s Sales Cloud CRM solution to over 130 of its branches, delivering a ‘holistic’ view of its customers for the first time. Change management was a major focus for the company during the implementation. “Right from the beginning we made a genuine commitment that we all need to make a contribution to make this work with everyone – from our CEO down – supporting the local, regional and national teams to succeed,” said chief information officer Luiskandl. The flexibility of the Salesforce platform has enabled InvoCare to roll out a lead management system with a web front end in the first instance, with a view to gradually building out the system with additional features and functionality. “We are now working on making sure that we can link all our digital business platforms to maximize lead generation and conversion online and offline. Everything we do as a business must loopback to the customer,” the CIO added. In addition, the company has also facilitated access to the new platform through mobile devices, with over 300 iPhones and 50 iPads being used in the business – including during client home visits. Salesforce.com’s case study noted that the back-end of the client information entering process featured a great deal of automation, with the system auto-allocating the best consultant based on a range of criteria. In-built reporting features assist InvoCare’s different teams to meet their budgets. In addition, InvoCare is also using Salesforce.com’s Chatter social networking and alerts feature as part of the platform, which is enabling the group’s employees to collaborate more freely. According to a post on Salesforce.com’s Australian blog, even InvoCare’s older employees are adopting the new platform. “Once a 77-year old sales consultant uses an iPad and a cloud computing CRM system in the funeral industry… it not only feels right, it’s a terrific achievement demonstrating what is possible if people are given the support they need,” said Andi Luiskandl. The news comes as Salesforce.com appears to be experiencing something of a resurgence of interest in its services over the past several months in Australia. Microsoft had announced several CRM deals over the past six months which it had beaten Salesforce.com to, and SAP and Oracle have been picking up wins in the segment in Australia recently. 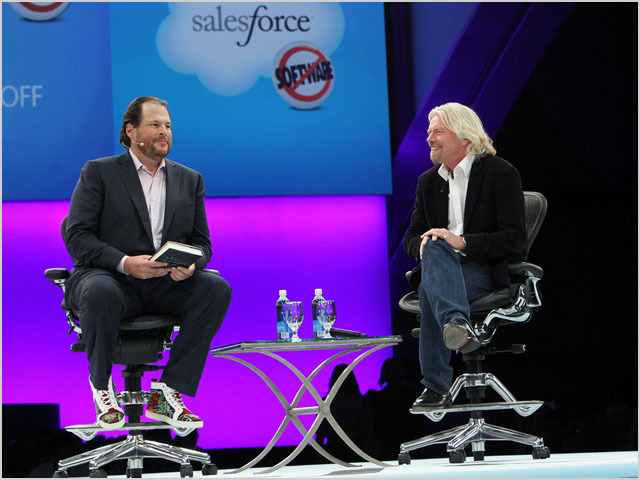 In that period, Salesforce.com has been relatively quiet about its accomplishments. However, in another major deal, last week Bank of Queensland announced that it had deployed Salesforce.com in one of the few known implementations of a software as a service-based CRM package in Australia in the financial services sector. Last week’s Bank of Queensland win was a landmark for Salesforce.com, due it being a key contract in the financial services sector, but this new win with InvoCare is more or less the sort of ‘bread and butter’-type rollout which Salesforce.com should be winning all over the place; converting legacy systems and even manual paper-based processes to its SaaS hotness. I hope to see more of these sorts of deals from Salesforce.com in the next few months, to demonstrate that it still has energy in the Australian market. It will be especially good if the vendor is able to break into the public sector, which has largely avoided SaaS-style rollouts thus far, due to their offshore hosting.